Our 2018 "To Cute To Spook" Halloween Dresses will be available in XS-LG. We also created a matching Boy To Cute To Spook Harness. 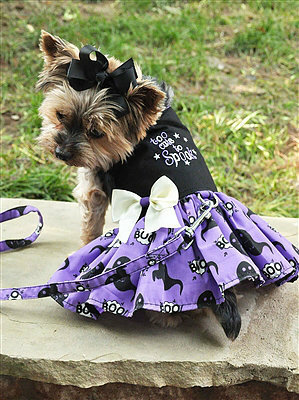 As with all of our Hook and Loop Dresses and Harnesses, they will include a matching leash.